Thanksgiving is upon us. Can’t you smell the turkey roasting? Holidays can bring out the best in a family, if you don’t sweat the small stuff. For instance, if it makes Mom happy to use her stuffing recipe in the cavity of the bird, compromise and make your daughter’s vegan cornbread stuffing as a side dish. 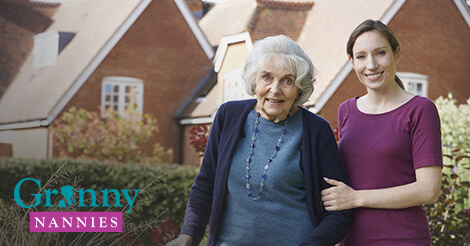 The stress of hosting, traveling, managing multiple schedules, personal food preferences, and interesting personalities is a lot for anyone to handle, nevertheless someone who is also trying to look after or accommodate their aging parent(s). This Thanksgiving, pledge to make the holiday easier and more fun for all age groups in your family. Buy pre-chopped vegetables or ready-made pies to take the load off the kitchen; label glasses and cups so guests reuse them; and keep the dress code holiday casual. Pump up the real meaning of the holiday—gratitude—with some new traditions. A simple family-bonding moment to initiate is the family gratitude bowl. The idea is everyone scribbles down on a piece of paper what or who they are grateful for, and everyone takes turns picking out of the bowl and trying to guess who wrote what. You can put your own family spin on this, too. For instance, everyone jots down what they are grateful for about the person on their right and left and then each author is called to read what they wrote. You could create moments that are sweeter than your aunt’s favorite dessert wine. Speaking of gratitude, Granny Nannies is thankful to you for trusting us to ensure you receive the in-home care you or a loved one need. Whether you require short-term care, long-term care, or a hybrid, our caregiving services are available round-the-clock.